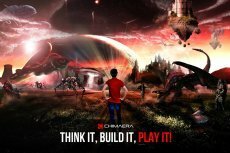 Chimaera has announced the launch of its ICO starting from tomorrow, 23 March, 2018, aiming to create a blockchain-based platform for gaming universes. Chimaera, the original creators of blockchain gaming to launch token sale on the 23 March 2018. Chimaera offers a backend solution for hosting entire game worlds on the blockchain.